IS BANK ACCOUNT DATA SOLELY ADEQUATE TO VALIDATE A BORROWER'S EMPLOYMENT & INCOME? It’s been well over a decade since the financial crisis took shape in 2006. Mortgage underwriting was substantially adjusted in the midst of the great recession. Full income documentation/verification became the de facto underwriting practice during this time– producing the lowest mortgage delinquencies in decades. As lenders seek to broaden their nets for new applicants, they’ve focused on the POS craze, and seek to adopt data verification processes that fit inside a digital mortgage. Additionally, lenders are also looking to cast a wider net via POS systems and less burdensome underwriting requirements. Non-QM lending is gathering some momentum and Fannie continues to adjust LTV, down payment and DTI levels for an industry that’s growing more desperate for originations, as 2019 industry estimates grow bleaker seemingly every day. Bank statement income verification, within the aforementioned POS systems, is getting significant marketplace attention. The nation’s largest originator is a big proponent of using banking data to replace IRS tax transcripts. 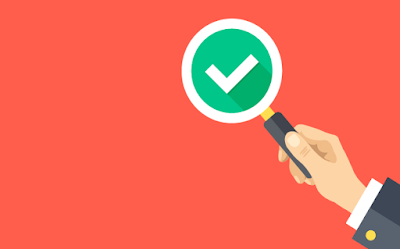 Industry proposals are circulating to use bank account data as an alternative to replace both income verification through the IRS form 4506-T and verification of employment via an inquiry with the employer or their chosen HR database (i.e. The Work Number or similar). In other words, an applicant’s employer and income information would be verified by the source and frequency of deposits into their checking accounts. Replacing valuable financial reports like tax transcripts or employer verifications solely with bank data would mean missing facts. While using data-driven resources like bank accounts will provide instant responses, replacing valuable financial reports like tax transcripts or employer verifications solely with bank data would mean missing facts -- and certainly would not give lenders the whole picture of the borrower’s qualifying income. Depending exclusively upon data from a borrower’s ledger balance is likely a speculative validation option and lenders could encounter closing delays due to unresolved underwriting conditions. To determine qualifying wage income via bank statement data, the mortgage applicant must participate in ongoing electronic (ACH) payments with their bank from a consistent source for at least 12 months. Automatic deposits or direct deposits should be treated as net income. Bank statement data cannot be depended upon to determine income for the self-employed or correctly characterize rental or investment income. There’s no historical evidence of income receipts nor the ups and downs of cash flow over the years. Bank data will not delineate income from overtime, bonuses, commissions, or expense reimbursement. Lenders must take into consideration undisclosed accounts for qualifying borrowers not participating in ACH or, for that matter, borrowers that spread their electronic deposit across multiple accounts. Additionally, determining the continuance of income will be challenging as many bank data providers are limited to 90 days of data. Will using “net” income reduce the number of borrowers who qualify for a loan? Can income be “grossed up”? How will calculations be performed using bank statement data for income validation? Will AI be required to perform the tedious calculation involved to ensure it’s not error prone? What is the source of the income – deposit, payroll, or personal? How susceptible is bank statement income verification to asset rental and can it be overcome? Can income of a taxpayer that files business tax returns with the IRS be verified exclusively with bank account data? Ultimately, lenders and investors must weigh the risks in rendering a loan decision by determining whether bank account data sufficiently represents a borrower’s ability to pay. While using bank data to verify employment and income is attractive (i.e. reducing time/money), exclusive dependence upon bank data verification will not effectively validate a borrower’s quantitative income and employment history when qualifying for a loan. The improvement of loan performance based on fully-documented income and assets far outweighs lesser documentation requirements. The highly reported IVES delays have been limited. 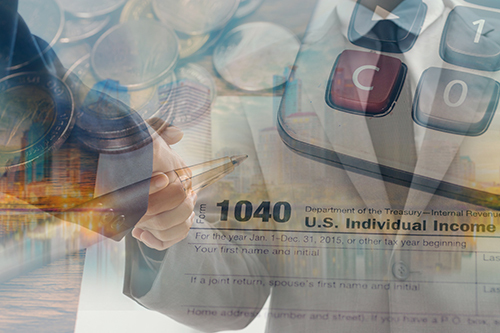 “There were a couple periods in 2017 where the ‘average’ turn time ramped up due to a major system/software failure at the IRS,” states Cecil Bowman, SVP of Government Affairs at NCS. “Also, the implementation of two-factor authentication by the IRS at the end of December 2017 created increased turn time for 2-3 weeks; but smoothed out by mid-January 2018 according to IRS Officials.¹ Over the past 6 months, the IRS has been very stable and turn-time averages run between 48-72 hours." In addition, the wheels are in motion to help the IRS modernize and improve its technology with the introduction of the H.R. 5445 – 21st Century IRS Modernization Act. A supplement to the truth - not an alternative. As long as major mortgage investors demand accuracy of the applicant’s financial bottom line, skepticism remains whether the lending risk can be addressed by bank account data replacing the 4506-T data -- and whether it can be used to reveal the borrower’s full financial picture. It is a supplement to the truth - not an alternative. Tax return and current payroll data best support current and historical earnings including valuable details such as family members, dependent care, expenses, depreciation, and investments. Bank statement data should be used as a supplement to validate the current status of those financial criteria. ¹ For example, NCS (National Credit-reporting System, Inc) reports a 30% improvement in turn-time average for tax transcripts from IRS’ IVES program since Q1 2017.